The prevailing belief is that food gets progressively worse as we move away from Downtown. That is especially true when it comes to fine dining. Yup, there are some gems in the burbs; but that is usually the exception. This thinking doesn't hold true for many ethnic cuisines including Thai. 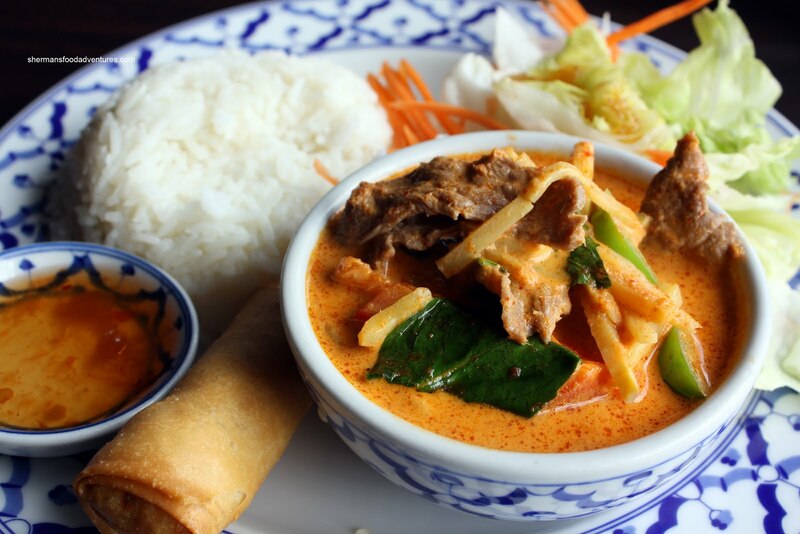 It is almost at random where you'd fine good Thai food. Now, good Thai food is all relative and subjective. 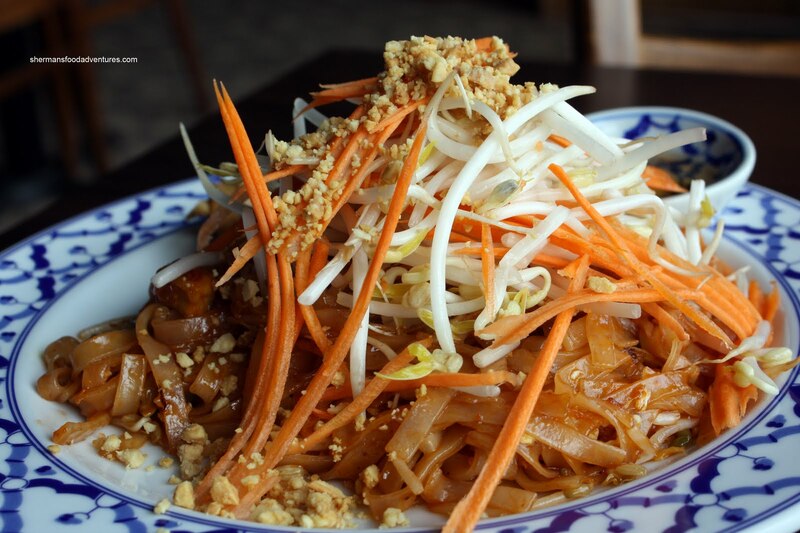 You see, most Thai food found in the GVRD is made to satisfy the masses. However, this is what we get here and honestly, to compare with the originating country is irrelevant. Unless we can beam over to Thailand, we are stuck with the watered-down stuff. My food adventures take me into the Guildford area of Surrey today. 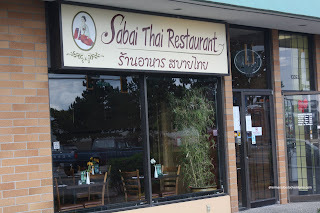 Yes I know, not somewhere you'd think to find good Thai food. 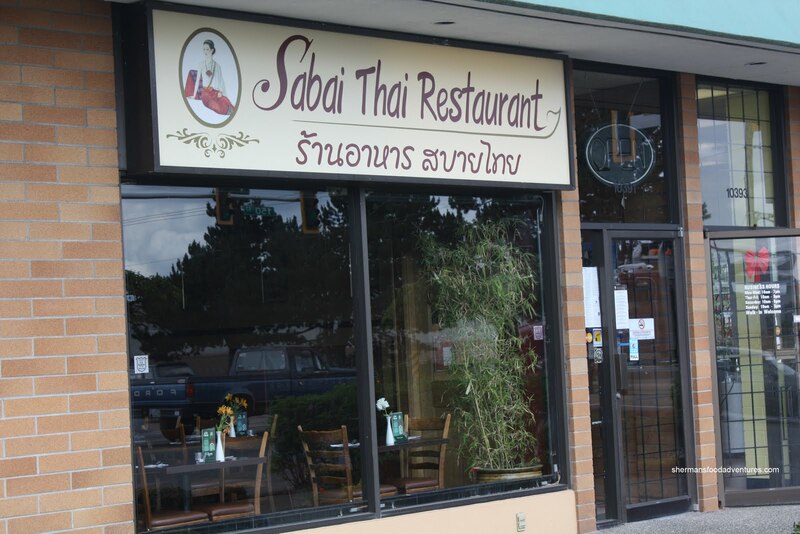 However, I decided to give Sabai Thai a go. I arrived as it was supposed to open; but they were apparently not ready. I had to wait in my car for about 10 minutes. The food better be good. I don't like waiting for anything! Since I was there for lunch, I decided to get 2 of the lunch specials. No, I didn't finish both of them, I packed almost a whole meal to go. Mind you, I finished it as a "snack" 2 hours later... Hey, didn't they say eat every 2 hours or something like that??? Wait, I think they meant fruit or something. Whatever. 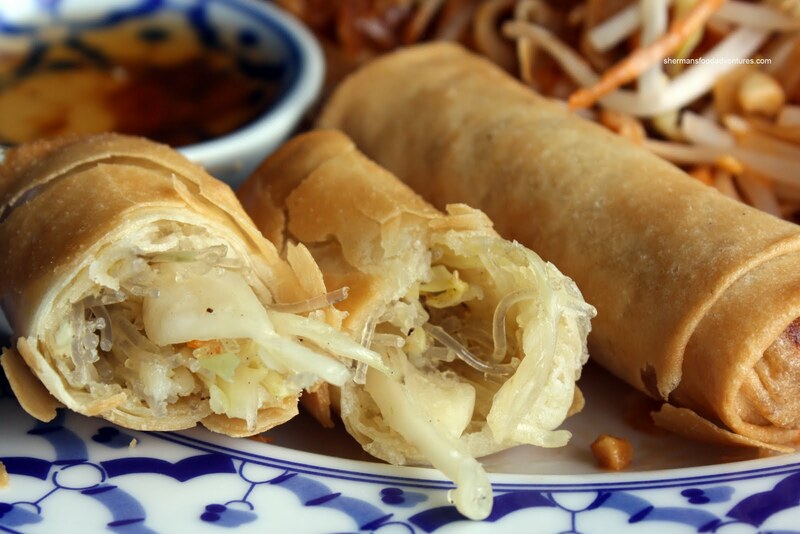 So, each special includes a Spring Roll and it did what it is generally supposed to do. I got the Pad Thai first and it was a pretty decent portion with rice noodles with tofu, prawns, eggs, green onions and preserved turnip topped with bean sprouts, julienned carrots and ground peanuts. This version was quite mild while still exhibiting a slight tang. Not exactly packed with tamarind flavour; yet not completely bland either. The noodles were definitely al dente and I really liked the abundance of preserved turnip. As for the Beef Red Curry, it had a bit more spice and aromatic coconut flavour. The beef was tender and the vegetables were alive (as opposed to being mush). I personally would've liked it to be more aggressively spiced; but I can understand them appealing to a wider audience. All-in-all, the food was decent and the service friendly. Not bad for Surrey and really not bad at all in general.